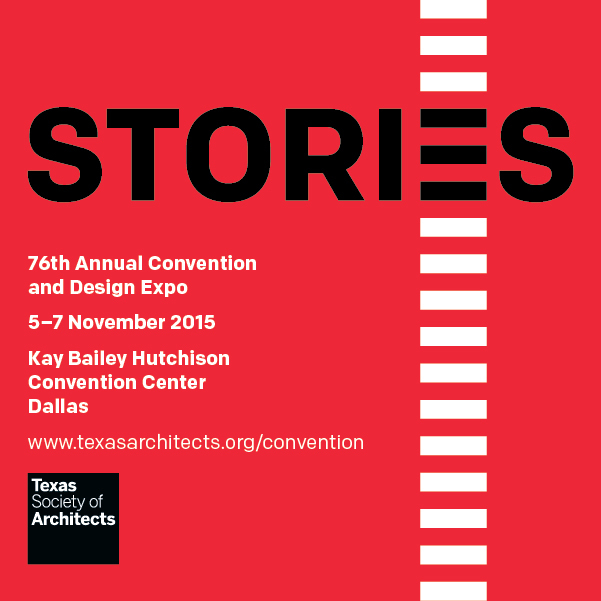 On November 5–7,the Texas Society of Architects 76th Annual Convention and Design Expo will take place at Dallas’ own Kay Bailey Hutchison Convention Center. The convention themed “STORIES,” will offer more than 90 educational sessions, 30 tours, and dozens of events focused on the transformative potential of the narratives surrounding architecture. The 2015 convention welcomes two notable keynoters to headline the event: Brad Cloepfil, AIA, and Rives. On Friday, November 6, during the First General Session, Cloepfil, a founding principal of Allied Works Architecture, will present a talk entitled “Amplifiers.” Focusing on museums and exhibition spaces, the session will look at the power of these typologies to inspire change, create memory, and invite continued exploration. Cloepfil will discuss his research-driven practice, which works to “discover and distill the elemental principles that drive each building project.” Saturday morning Second General Session attendees will be treated to Rives’ “The Power of Storytelling.” An American poet, multimedia artist, and storyteller, Rives will explore the breadth and power of the medium of storytelling. From pop-up books to iPad ventriloquism, Rives investigates the future of storytelling as it encounters the constantly evolving field of technology. Online registration for TxA’s Annual Convention is available through October 29. Advance registration rates, including free registration for interns, are available through September 30. For more information, visit: www.texasarchitects.org/convention.